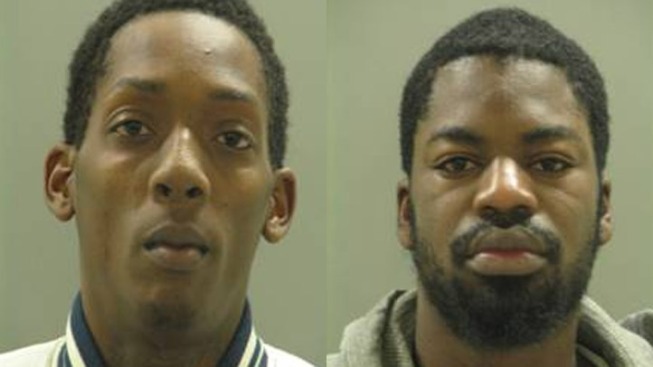 Police arrested two men who allegedly threw out several bags of crack cocaine during a traffic stop in New Castle, Delaware. On Thursday, around 8:30 p.m., two New Castle County Patrol Officers say they spotted a tan Cadillac Deville on Wilton Boulevard and Appleby Road. Police say the driver of the car was committing several traffic violations. Investigators also say the driver and passenger threw out several items from the window. The officers stopped the vehicle and found several bags of crack cocaine with a total weight of 8.92 grams and drug paraphernalia nearby, according to investigators. Both the driver, identified as 22-year-old Antonio McCray-Bradley and the passenger, identified as 22-year-old Markief Baynard, were arrested. They were both charged with possession of a controlled substance and other related offenses. They were also both arraigned and committed to Howard Young Correctional Institute in lieu of $12,000 cash bail.